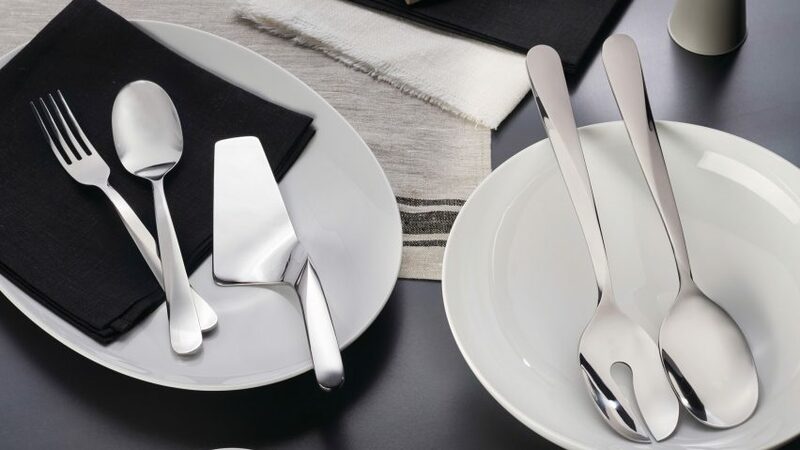 Architecture firm UNStudio applied a curving design reminiscent of its built projects to this set of cutlery for Italian brand Alessi. The Giro cutlery set gets its name from the twisting handle that gradually transforms into the knife's blade, spoon's bowl or fork's tines. Each piece has been ergonomically designed to be held with three fingers. "The name Giro originates from the Italian word for turn, referring both to the twist in the geometry and how the cutlery is turned in your hand when finding the best position for use," said UNStudio. The "architectural twist" applied to the design features in a number of UNStudio's built projects, such as the curvaceous transport terminal in Arnhem and a housing development in Beijing with undulating facades. "The architectural twist has been a key feature in the design of a number of UNStudio projects of varying scales - from buildings to pavilions - and has now been adapted in the design for the Giro cutlery set," said UNStudio. "In Giro the architectural curve is scaled down and transformed into a tactile framework on the human scale, one that is directly related to the body and to touch."